Some of the most beautiful work of this craftsman, and many others, are in this book “Liège Gunmakers through their Work. 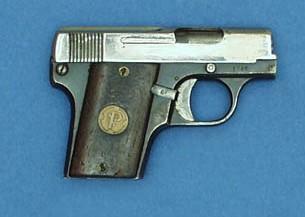 1800 - 1950”. Born in Liege on October 31, 1870. Second son of Henri Pieper and Catherine Elisabeth Leroy. As of the thirteen years age it starts its training near his father. Little before the death of the aforementioned it takes the direction of the factory of the street of Bayards while that of Nessonvaux falls to his brother Edouard Herman (Armand). In a few years, the excessive diversification of the activities of the company carries out the aforementioned at the edge of the bankruptcy and involves its liquidation as well as the ousting of the two Pieper brothers in August 1905. (see Ets Pieper). 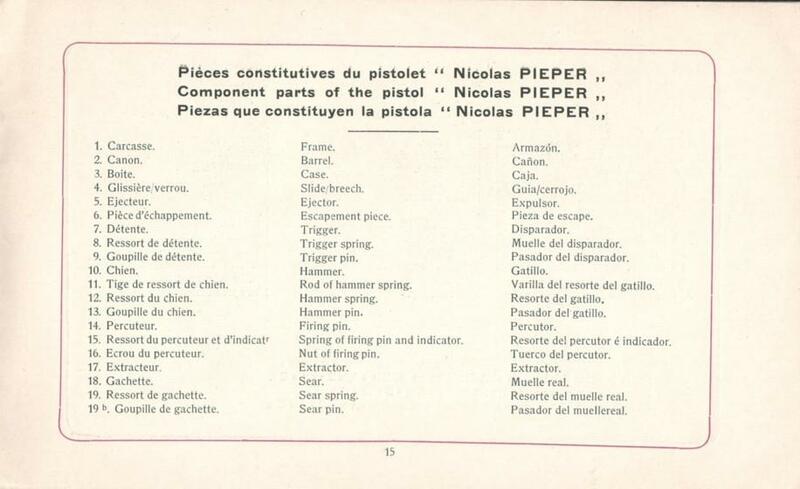 Nicolas sees himself constrained to assemble his own business, which will become the Factory of automatic weapons Nicolas Pieper. For that it will profit from the support from his brother-in-law, Auguste Lambrecht, manufacturer of forging drops, which will put buildings, of modest size, at its disposal to the 42 then with the 5-7 street Bonne Nouvelle in Liege. 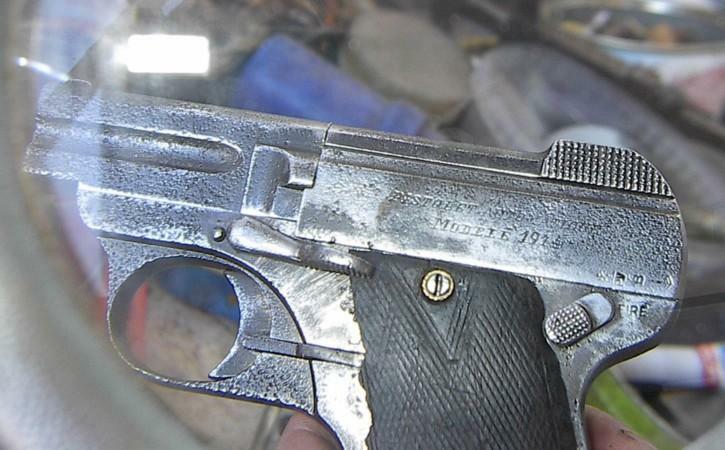 Nicolas will buy several patents covering with the automatic pistols to an arms manufacturer of Liège, Jean Warnant. It there will make improvements and will produce several baptized models "Démontant" and "Basculant". 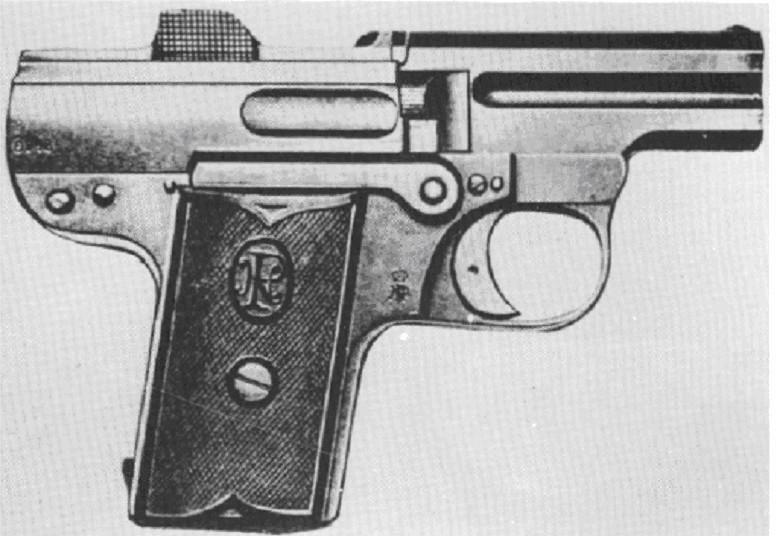 This last, also called model 1909 will be manufactured under licence by Waffenfabrik Steyr in Austria, until the Thirties. In parallel, Nicolas Pieper will continue the manufacture of shotguns of various types, inspired of the patents of his father. The First World War will slow down considerably its activities which will be reduced to the creation of arm-toys of excellent quality. After 1918 it will settle to the 292 of the street Vivegnis. 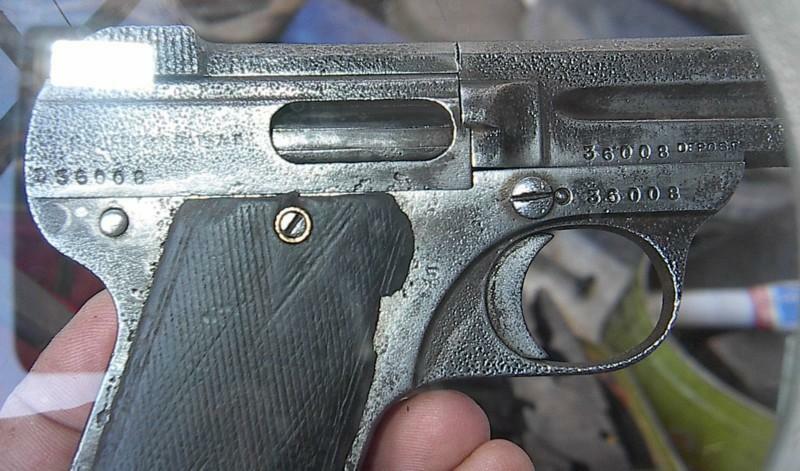 It will acquire of the patent of an arms manufacturer named Hippolyte Thonon concerning a semi-automatic pistol of pocket. 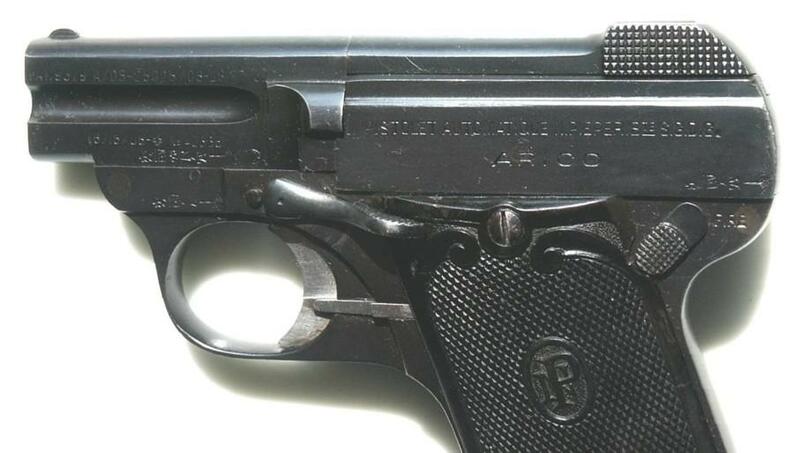 The aforementioned, a copy of the FN Browning 1906, will be manufactured under the name of Légia gun, perhaps in a workshop open in Paris by Nicolas Pieper in 1922. After 1923 one does not find any more trace of his arms activities. It will die in Liege ten years later in 1933 in the family house of the street of Bayards. 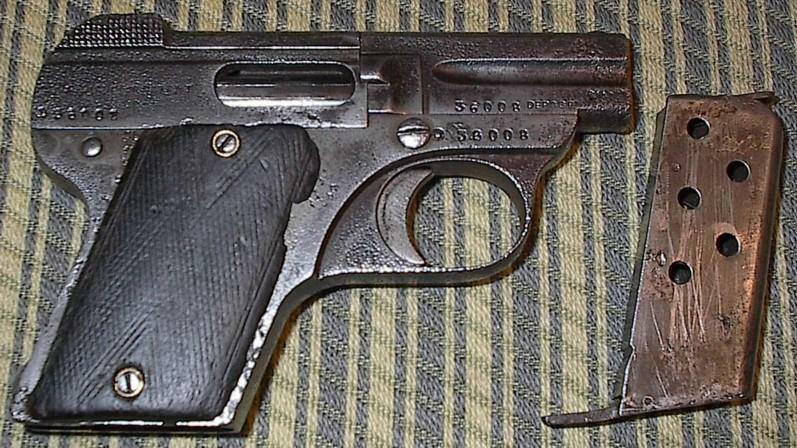 Shotgun double in hammers external and Hammerless with unrifled bores; Automatic pistols of type “Démontant” and “Basculant” (models A, B, C, A.D. and D); automatic pistol Légia; rifle type 500 and 501 semi-automatic; rifles type 504 and 505 with bolt; rifle of shooting to sliding front. 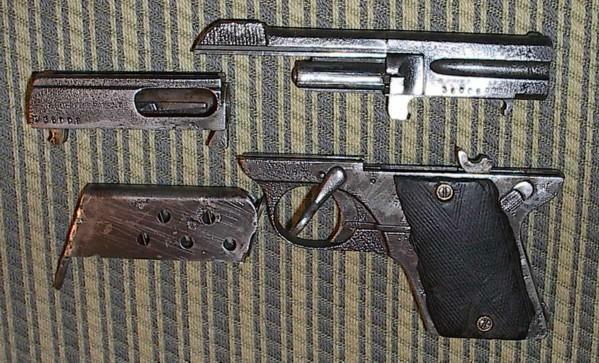 Arm-toys of various types: imitation Mauser 1889 with starters, shotguns in miniature. Alarm at door with detonation. 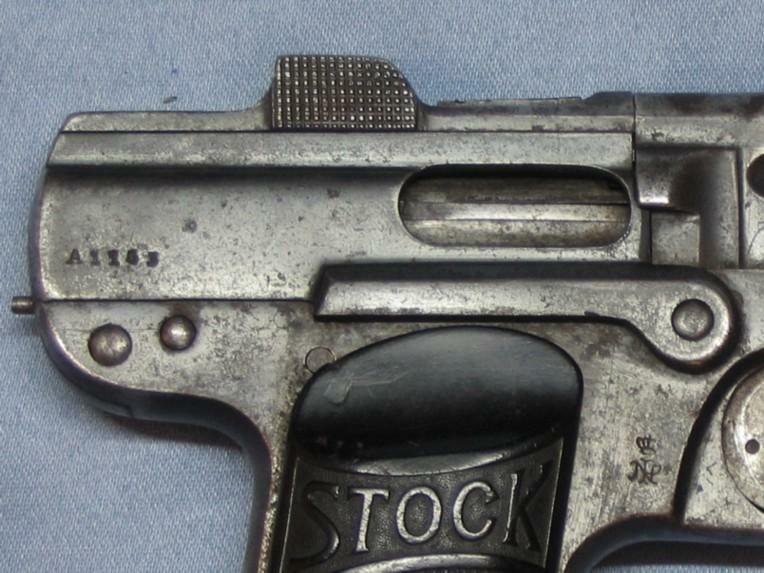 45 on the whole of 1899 to 1923 concerning the automatic guns, the rifles of small gauge, the shotguns, the arm-toys, combination of sabre and gun, etc. N and P interlaced (April 21, 1906). 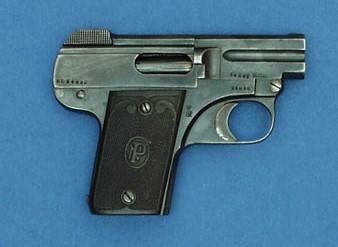 Automatic pistol Pieper; Pieper' S Automatic Pistol: Pieper Gun; Pieper' S Pistol (July 1906). 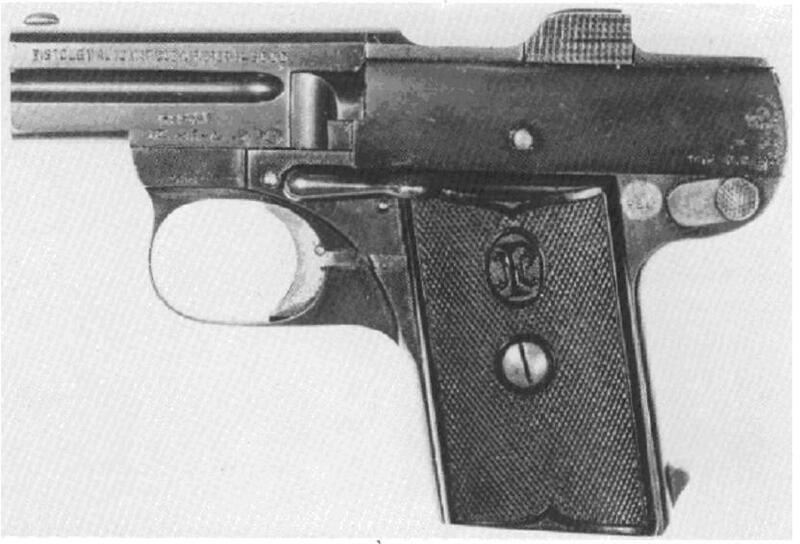 A plate of pistol with N and P interlaced (January 7, 1907). 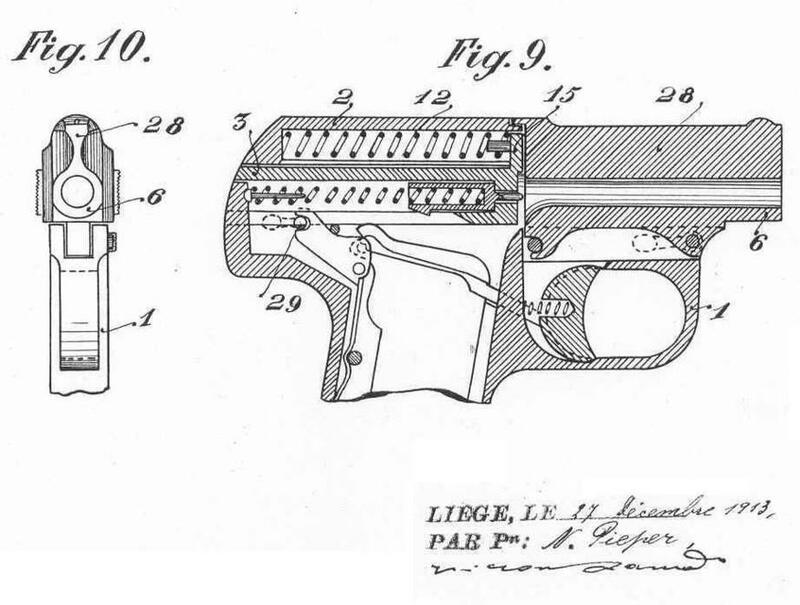 Illustration Gun Nicolas PIEPER (December 11, 1907). N.PIEPER' S OBVIOUS (February 29, 1908). Count with the Bench tests of Liege: 1906 - 1927. 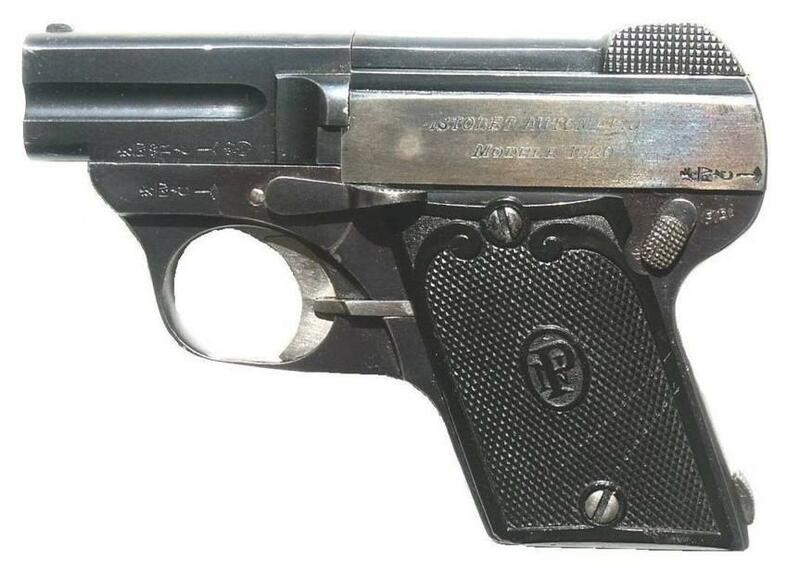 Does there exist a model 1914 of gun N Pieper cal 6,35 Demontant? I will not answer nor by yes or not! 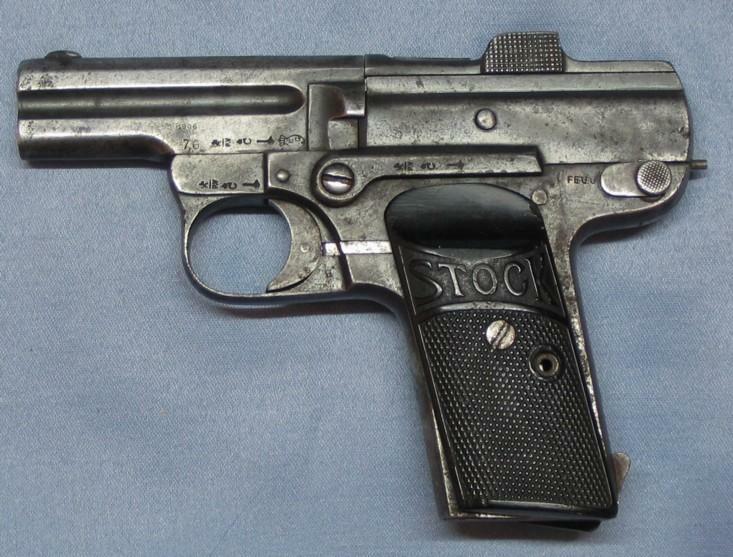 - the "Dismounting" N.Pieper gun known as is included in the catalogue Alfa 1911 like "Model 1909"; to add to confusion, the "Tilting" manufactured one under licence by Steyr is also known under same name "Model 1909". 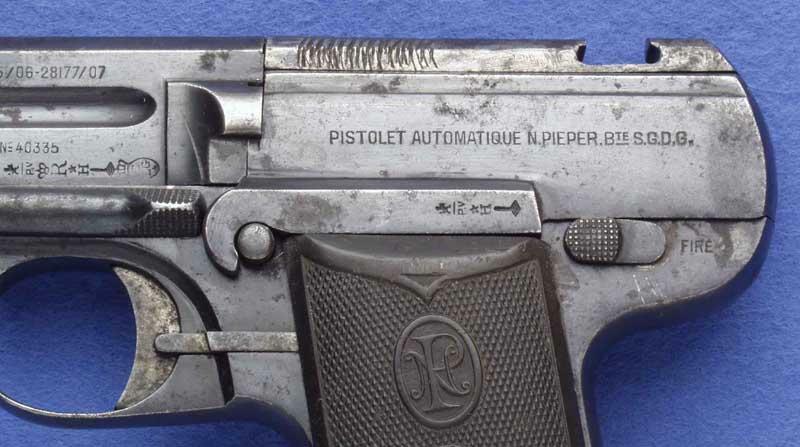 - in December 1913, Nicolas Pieper deposits in Belgium a patent for a "dismountable automatic gun, including a barrel completely disengaged and independent from the box of cylinder head, which forms a unit with the rocker." 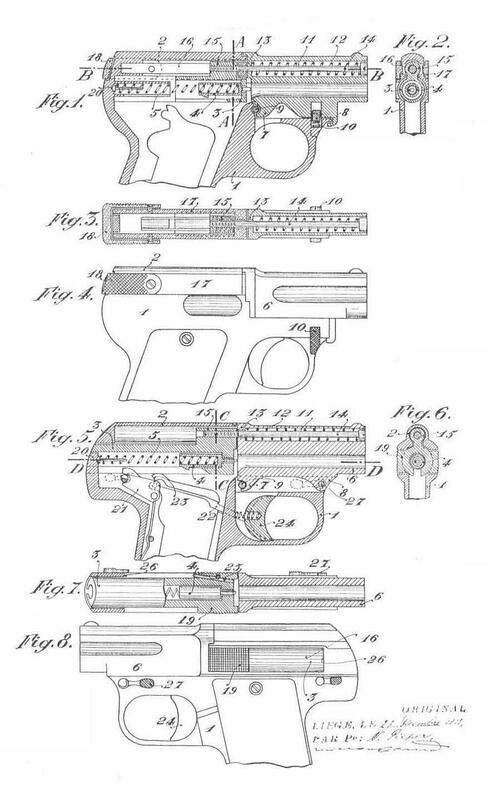 The illustrations of this patent do not correspond to any N.Pieper gun described in its catalogues. 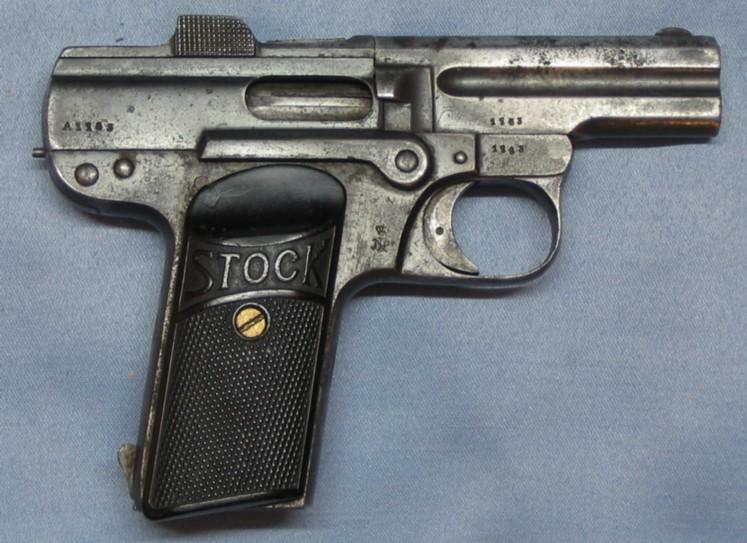 In addition, the bursting of the First World War 7 months later will undoubtedly not have allowed the setting in production of this gun, at least in substantial quantities. 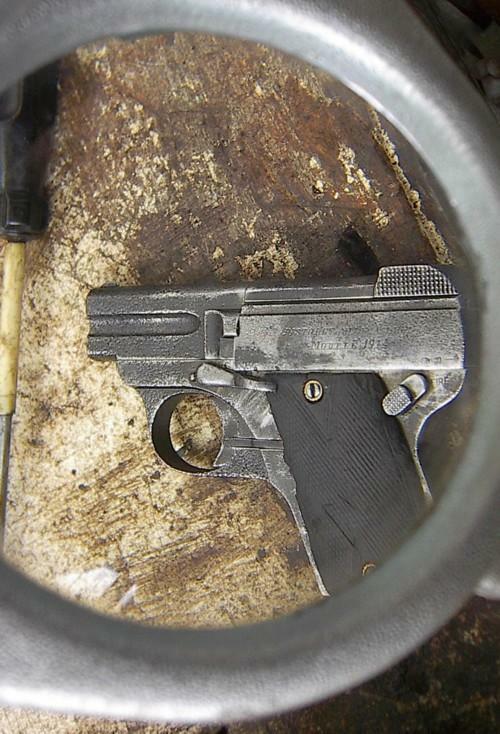 It is probable that this gun exists: one often deposits a patent on the basis of one or several prototypes. Perhaps does our Rumanian correspondent know of it a specimen (in his possession? One can dream...). 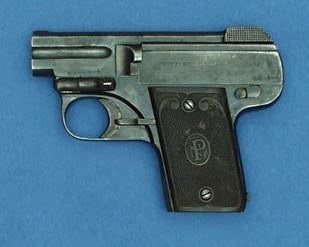 And I am always in the additional search of infos concerning the weapons of Pieper! And a specimen dated "1914"!! 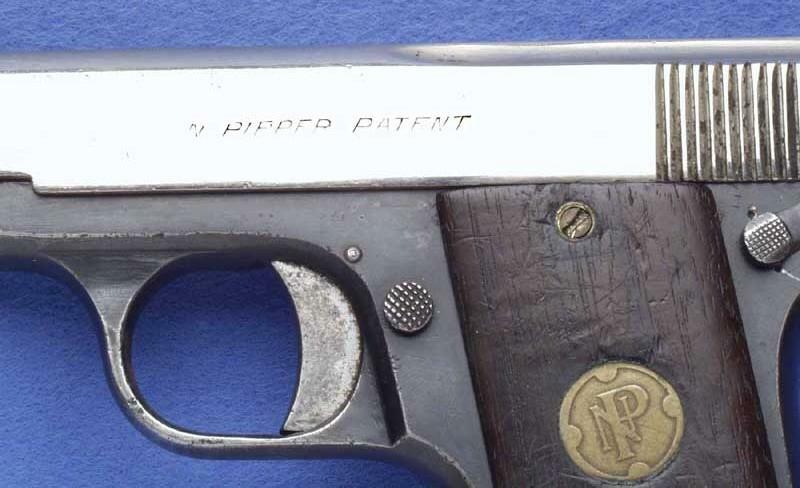 As you are the happy owner of a specimen of my imperishable work on Pieper, you will have been able to note by looking at page 143 that this gun is quite simply a Model A of Nicolas Pieper... who lost his plates of origin. 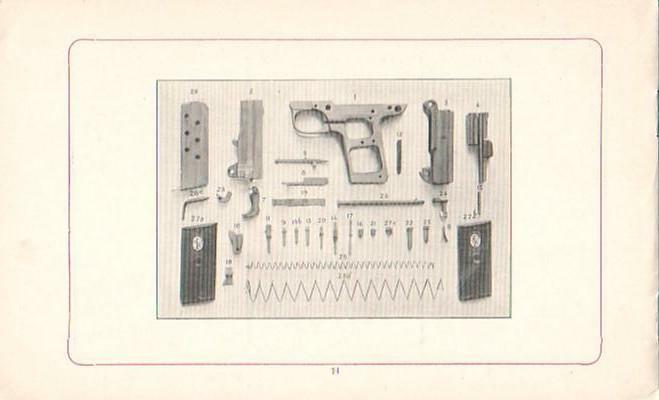 The owner, undoubtedly finding that that made disorder, equipped with two plates of a pistol Franz Stock, plates which do not adapt besides correctly to N.Pieper. 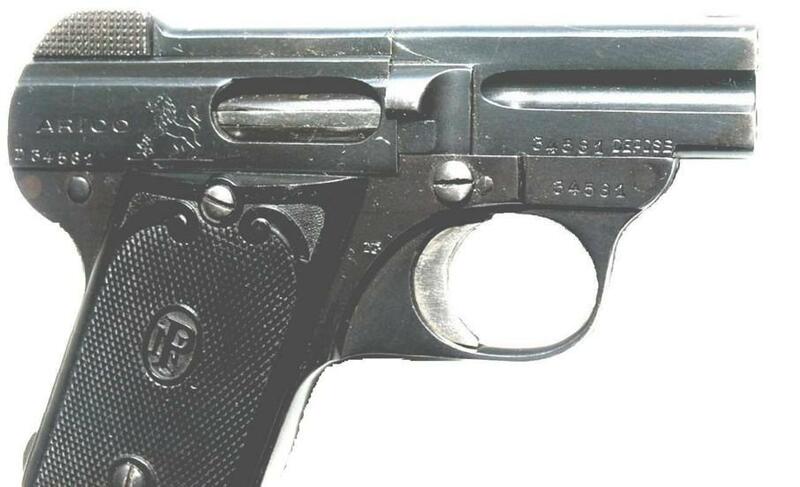 This gun is of the "Dismounting" type (see p.148). 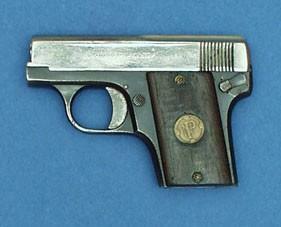 It thus does not break into two like "Tilting" of N.Pieper pistols. 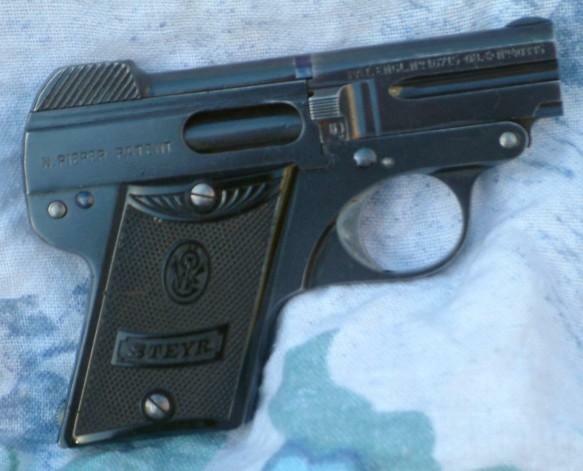 There are nine chances out of 10 that these weapons were manufactured at Steyr, usual partner of Nicolas Pieper. 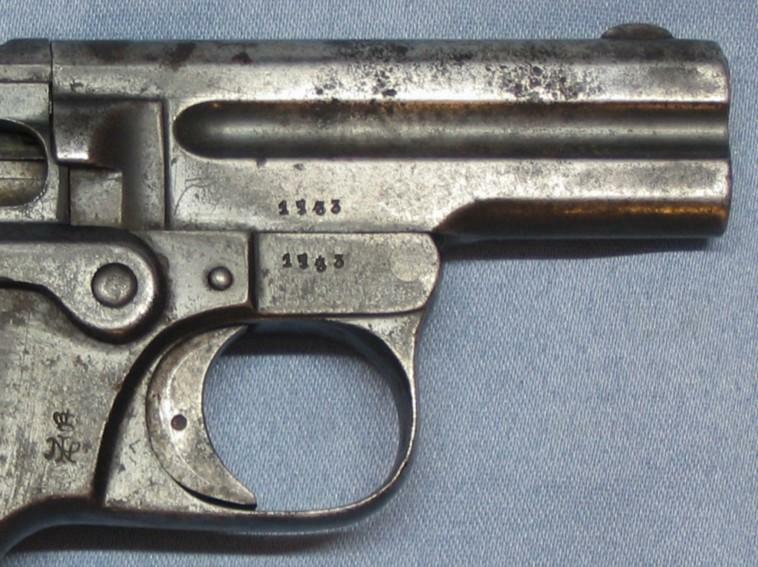 This one undoubtedly received the weapons (or the parts of weapons) rough of manufacture, added its own markings and made them test in Liege. 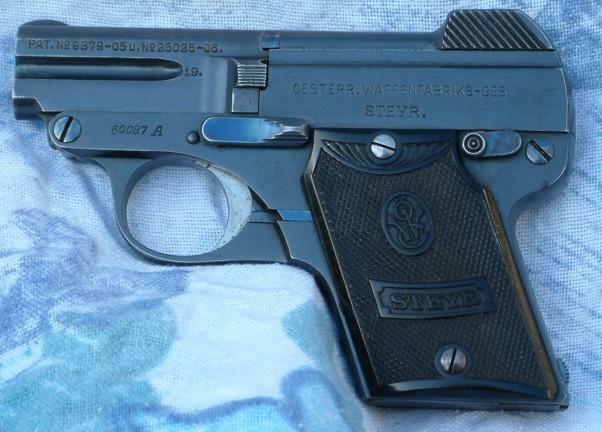 Pieper Steyr 1909 is the "Basculant" of Nicolas Pieper manufactured under licence in Austria. 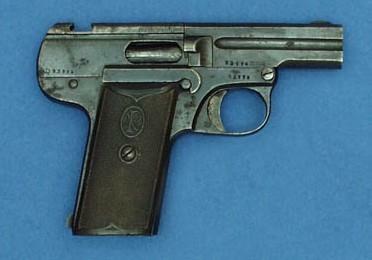 In 1909, Steyr wanted a gun calibre of it 7,65mm Browning and a small gun calibre 6,35mm Browning of it, with the same system of collapsible gun. 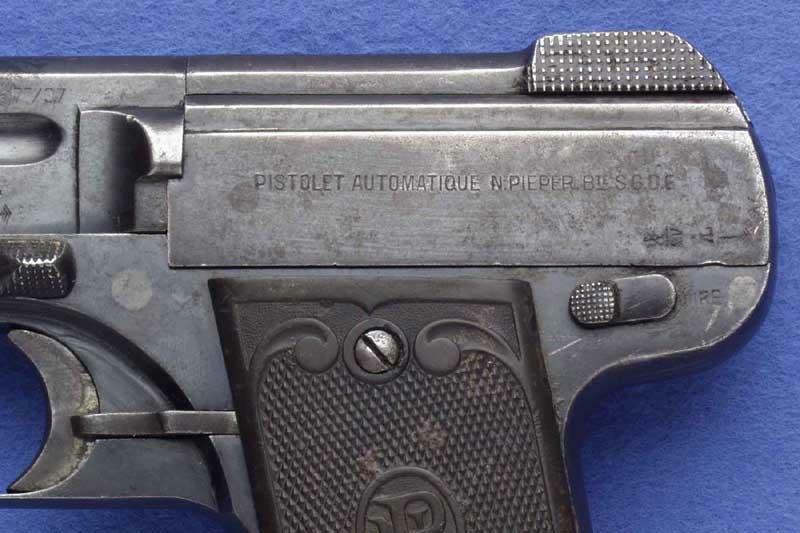 These guns were designed and produced by manufacturing of weapons Belgian Nikolas Pieper and became Steyr-Pieper-Pistolen. 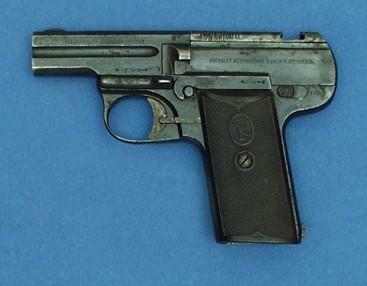 The production continued until 1928 for the 7,65mm Browning (approximately 60.000 units) and 6,35mm Br until 1931 gauges some (approximately 130.000 units).